For those who prefer their Airsoft guns to have an authentic look and feel, the German Army General Style G12 is the perfect firearm. This metal finish gives great accuracy and shooting experience to the BB gun enthusiast. Durability, range, accuracy and style - this compact gun has it all. 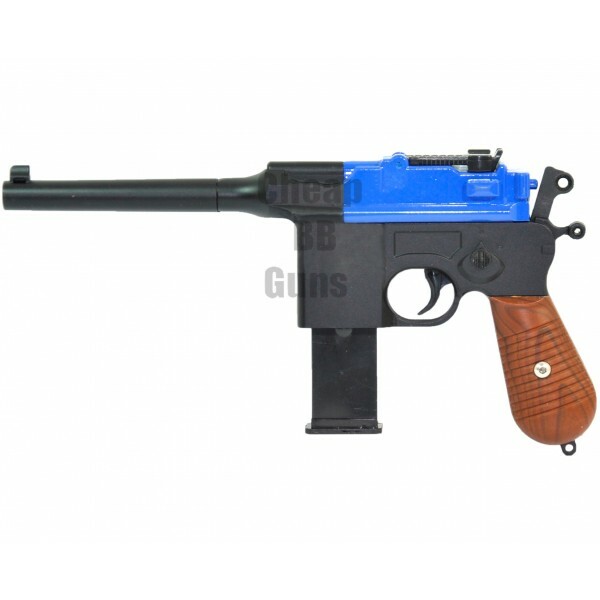 This handgun is one of the more recent entrants to the Airsoft guns segment and it incorporates several of the features that have made other BB guns popular with regular users. Its zinc alloy construction lends great resilience and durability to the firearm. Today, the G12 Metal Army General Style G12 German Handgun is considered one of the best products in the heavy weight range of its size. The style factor of the firearm is top priority for you, then you will find this firearm a great asset indeed. The wood effect handle adds a special touch to this gun that not many other metal finish guns can compare with. Overall, the G12 is a stylish and realistic looking firearm for Airsoft guns enthusiasts.